Fantastic Four Eateries Never To Miss At The Q Court of Quest Mall . Food is one whole major part of everyone’s life and if you don’t get it right and in the most enjoyable way, then the mood and experience shall shatter instantly. When i go places either for work or for personal reasons i tend to keep a list of eating places nearby where ever i happen to be so that it helps me not to explode my head in search of food at hunger times.Same thing happens with me when i quite often visit Quest Mall and look for places to eat there but then i ignore most of the places as for the reasons of not trying out the place ever before or else it least interests me at times. However recently First Idea Pr represented by Anisha & Somenath had poured an invite to check out the Q COURT for it’s famous four eating places at the food court. 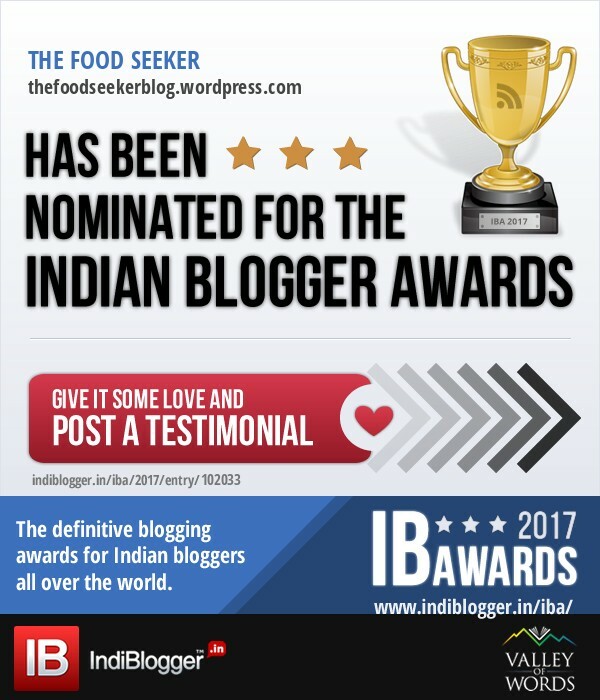 So along with me there were few fellow food bloggers who came here and got their hands on some nice set of food.Over here from every place we tried one or two signature dishes that proved to be pretty interesting. And to know more about which were the places and what we tried ,read below. MASALA KITCHEN : This is the first one which makes some really good North Indian delicacies . As the name goes ,you should expect things to fire up in your food but not in such a way where it is an discomfort.So from here the CHANA BATURA was tried out which was the size of almost 3 to 4 normal sized baturas that you get anywhere. It is the biggest one for sure in the city is something i can safely say and also as it was soft and nice in texture it tasted excellent. They serve Chana curry along that tastes equally good making it clear for me to recommend this dish overall for being something not very regular to come across. DESI STREAT : Here is the place where you will get those amazing Delhi food .Chats and tangy crispy stuffs are the real charm of DESI STREAT. From here the RAJ KACHORI CHAAT was tried and it was simply loaded with nice potatoes , lilttle veggies,sweet and sour garnishing in the form of chutneys giving it a a splendid tangy taste. Apart from these street eats even Dosas are in listed in the menu which was a real surprise to know.So one of the Dosas was chosen which was RAVA ONION DOSA. The dosa was loaded with onion inside, served along with sambhar and two chutneys. On taste this was pretty nice although could have been much better . CHINA SOUTH : The third place know as China South is the one responsible for making lip smacking Chinese food. If you love Chinese do try this place out as it has the caliber to impress. From here the CHICKEN STEAM MOMOS and PAN FRIED NOODLES CHICKEN were tried out.The Momos did amaze me with its soft texture and clear flavour balance. It was served in a steamer basket which looked absolutely perfect. This was also served along with two sauce dips that went nice and i can add this to my good eating places as an recommendations for Momos in malls. Coming to the noodles,well it was a different experience for me as it was slightly not promising and can be considered just fine to eat and nothing special about it.It is made with a lot of veggies mixed with chicken pieces and stir fried till it gets its flavour enhancement with special ingredients thats added together. It was a quite good platter in terms of value as it had everything and was very filling also.It looked very attractive and inviting but not very much the case when it was tried. I think little more improvement can be done as it is good at the present situation but i am hoping it to be great in sooner times.However try it out as you wont get this at the rate it has and especially from a Lebanese eating place. With that ends the talk of the four places and all of them have something or the other special to figure out.The signature dishes are very much everyone’s choice so do check them out at the Q court and have an different experience like never before as well as share and recommend it to others . Have a great eat at Q COURT ! Previous Previous post: Velvetiine Gift Hampers will set the happy mood for RAKSHA BANDHAN.